My 20 year high school reunion was this year. 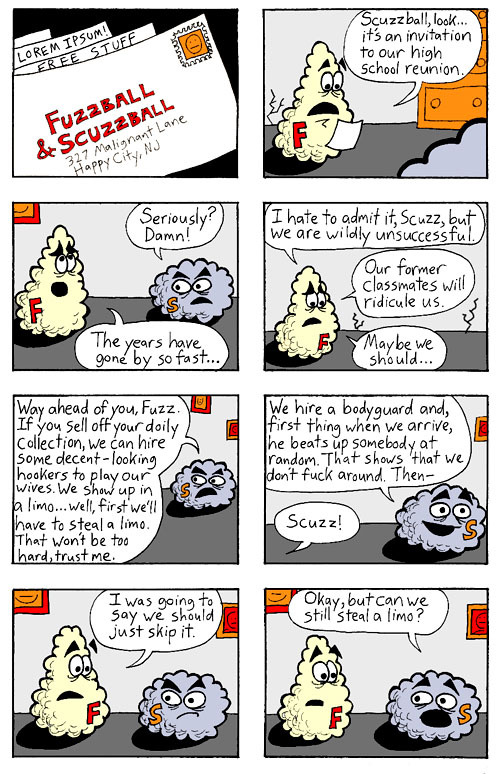 Fuzzball & Scuzzball were in my school newspaper, so it's been 20 years since they were in high school, too. Thinking about these things, and about how amazingly fast the years fly by, led to this comic. Disclaimer: I would not describe myself as "wildly unsuccessful," and I have never stolen a limo. I'm with Scuzz. Let's steal a limo! I suspect it's harder than he's letting on.